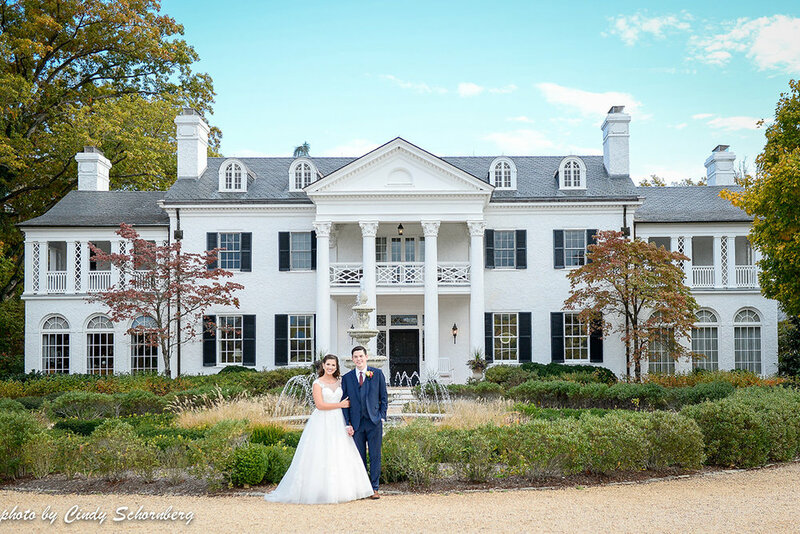 Well, Gabrielle and Nicholas were very happy with the beautiful, warm fall wedding day they were given. Isn’t that the only thing a couple worries about for an all outdoor wedding? So, we thought until this day. 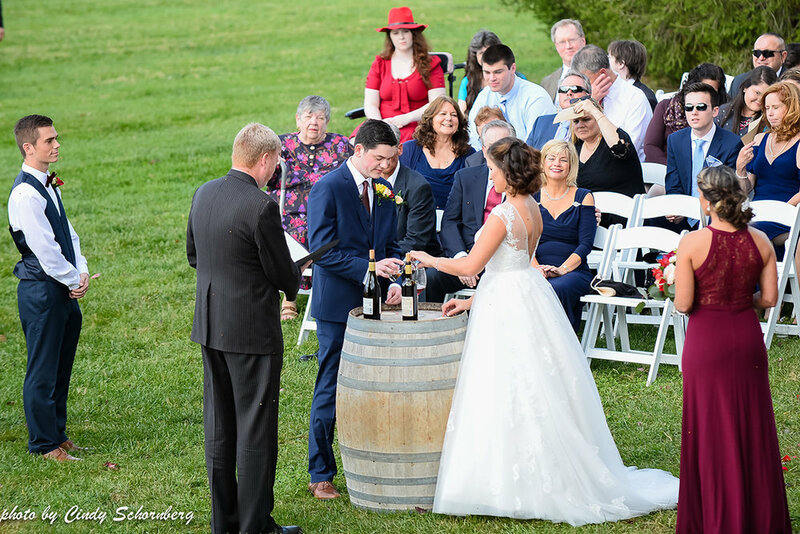 On Friday, November 3, 2017, Gabrielle and Nicholas were married at Keswick Vineyards among thousands of lady bugs! Yes, lady bugs. It was comical with how many there were. I’ve never seen such a thing. For a few hours, they were everywhere. There was nothing anyone could do, but to embrace them and work them into their day. After all, they are good luck, right???? If so, then this couple has an abundance of good luck that will last them their life time together and beyond! I just love how Gabrielle had 2 dresses for her wedding day. She wore a traditional wedding dress for the ceremony and for some photos. She then disappeared and did a quick change that was a surprise to Nicholas. She appeared in this beautiful, floral formal dress. I just couldn’t help but take a lot of photos of her in this dress. It was a jaw dropper! As guests made their way to the reception they had waiting for them on their plate an antique key. This was no ordinary key. This key could be used as a bottle opener! What a cute party favor. 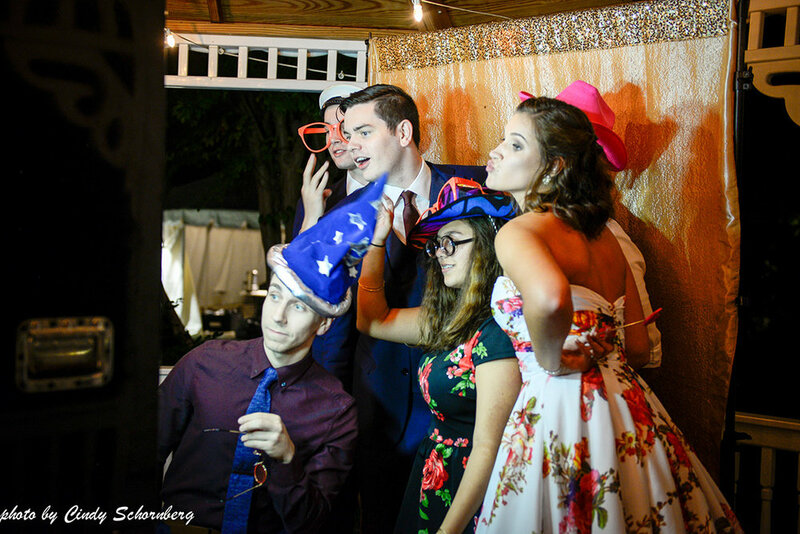 Also, under the tent, a photo booth was waiting to capture silly photos of all the guests. Guests have so much fun doing this! Thanks to the following vendors for being “lucky” enough to help celebrate in this special marriage! Wedding Planner: All in Events, Officiant: Dave Norris, Caterer: Travinia Italian Kitchen, Desserts: My Tiny Bakery, DJ: T.D. Layman of Sound Enforcement, Photographer: Sarah Houston Photography, Hair & Makeup: Creative Images Hair & Makeup Artistry, Florals: Blooming Occasion, Photo Booth: The Photo Booth Company, Rentals: MS Events.